Seduction of Fake Poetry Contests - Writer's Relief, Inc.
There’s no shortage of poetry contests out there. And in most cases, the goals of these contests are legitimate: recognizing and honoring quality poetry and beefing up membership or subscription bases. Unfortunately, there’s no dearth of con artists in this world, and bogus poetry competitions are everywhere, luring would-be as well as established poets with seductive prizes and flattering appraisal of their poems. Journalists have had some fun with these contests, entering intentionally awful poems, which are then accepted by the contest’s publisher and met with high praise, accolades, and, of course, invitations to purchase an anthology containing their work (only $49.95!) or invitations to attend conventions to accept their prizes (registration fee: $425.00). Writers beware! Unusually large cash prizes. Especially when there’s no entry fee. Where in the world do they find such financial backing? No prize money but a promise of “agent representation”—at a high price. Or an invitation to join “The International League of Poets”—for a pricey sum, of course. Conventions. Again, your poem has been “accepted” and is lavishly praised. You’ve even won a prize! But you have to attend a convention to accept this prize, and naturally, the registration fee is a few hundred dollars. Unknown contest sponsor. The name may seem familiar, but it’s a word or two away from the name of a legitimate poetry organization. Check the Web site. Is the organization associated with anything else? Other publications, societies, anything at all unrelated to this contest? If not, back away quickly. Legitimate poetry organizations focus on the writing community, and the contest is but a sideline. Contest sponsor is difficult to contact. Is there a phone number? A contact name? Are your questions answered quickly, or is the response slow to come or evasive? Advertisements in daily newspapers or magazines unrelated to the writing field. 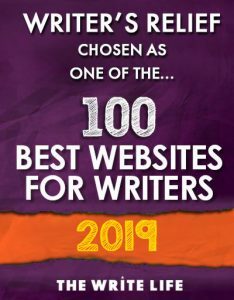 Legitimate organizations advertise contests in publications targeted for the writing community and do not spend gobs of money on mass-market publications. Low standards. Each and every poem—from quality to awful—is accepted and lavishly praised. Past winners are nowhere to be found… If it’s next to impossible to find the work of past winners, then, well . . . you get the picture. However, if you are able to find the previous winners and their work is mediocre, then obviously the standards of the contest are lukewarm as well. Short poems preferred (or required). The better to fit into an anthology, which is what the sponsor is trying to sell anyway. If the warning bells clanging in your head aren’t enough, do some research of your own. A Google search for “poetry scams” on the Internet will give you lists of the worst contests. And legitimate contests are out there if you’re willing to do a bit of research. Try About.com for a list of reputable contests, check the reputable market listings such as those found in Poets & Writers Magazine, Poet’s Market, Writer’s Digest, or consult with your local poetry society. QUESTION: Some writers love having their work in poetry anthologies, even when the criteria for publication is very low or they’re required to buy copies. They enjoy sharing their work regardless of the reputations of the contests in question. What do you think? Some poetry contest that don’t charge a fee can be scams to. If they judges are not revealed, the staff is permitted to enter the contest and you notice the same list of winners with every contest round. I have seen all this at a particular contes online. I notice they have the same 7 winners and any other people are usually honorable mentions. I saw once they didn’t offer an honorable mention yet there were plenty of excellent poem but they were not poems of the members on the list or they had placed in the contest before. I prefer to enter a contest in which it is connected to publishing company that is really established or a school. I am Barbara Fischer Binstock, a poetry professional. I’ve sold poetry to Hallmark Books, taught poetry in high school classes, and At J. Mark World Poetry Showcase, mentioned by this newsletter, have published the most delightful illustrated hardcover poetry anthologies (during a 52 year span). They contain about 100 to 150 entries in each book. At least half the poets are on a full illustrated page. I say, affectionately, I took a break for 25 years to earn a living. Not exactly so. Paying to enter a contest that awards money is considered a lottery by most states. Membership fees are legal and respectable. Publishers who say how good you are when you need to study prevent you from finding out how good you aren’t, and worse, expose the unskilled you before you’re known as a great poet. couldn’t believe how many foolish people who fell for it, then dared to ask me “How do I know this is not a scam?” When someone can compiles successive poetry anthologies of 600 or 1200 new poems/poets stop and think. Your poem will be buried in such a book. It is a place that any words on paper will be accepted. On the other side of the issue is a quasi respected college journal, or an organization called Poets And Writers. They are privileged to receive grant money to pay for their idea of poetry. They can criticize publishers who want you to buy a book you are published in. Grant money enables them to afford to give books and prizes. What’s wrong with that? They favor certain individuals and their writing. You will find yourself frustrated trying to write more like those people instead of yourself. If I knew there are enough sincere poets out there now, I’d publish again. I miss it. I don’t need the money, but I’d be highly insulted to publish poets who don’t even care to own a souvenir copy of my very affordable book after my months of labor to create it. At J. Mark Press Poetry Showcase Our poets voted for 10 favorite poems in the book including their own. I always published our winners for the poets (and me) to understand what we like best. It’s not only my opinion. My prizes are based on what I can afford. Visit my website and click some links in my left margin to see some wonderful poetry. Many literary journal editors have told us and Poets & Writers that if they didn’t host contests, they would have to cease publication. Legitimate poetry contests are like any gamble, and we understand that it’s a delicate situation when your writing is involved, along with the money aspect. You’re welcome to submit to literary journals when they’re not having a contest. Most literary journal editors believe they are doing this as a labor of love, for the love of literature, and they unfortunately can’t pay writers (OR themselves). This is why contests are beneficial; they don’t have to take money out of their own pockets to keep their literary venture around. Best to you and your writing! In my opinion all poetry contests that charge an entry fee are scams and to be avoided, even when they are sponsored by legitimate literary journals. Who ever heard of paying $25 to enter a contest? And why a contest? The only reason they exist is to make money off the hopes of aspiring writers. You make it a contest so you can take someone’s $25, and when they get nothing in return they can’t complain. At J. Mark World Poetry Showcase we have published, (during a 52 year span), the most delightful, illustrated hardcover poetry anthologies, having about 100 to 150 entries in each book. We took a break for 25 years to earn a living. published and compared it to what they might have written. Without a formal education in the techniques found in skillfully written poetry you can’t legitimately assess a scam or a publisher. I wrote the book Poetry Self-Taught and taught its lessons in classrooms. Not many who call themselves poets have any real knowledge about the craft. Knowing those techniques can help you to assess, and revise what you wrote. But even then, some poets have done their best to communicate with us on some poignant level, and if some skill is missing, should they be encouraged or penalized? Our J. Mark Anthology poets understood if they don’t help get exposure for the books, not only by paying for copies, but by spreading the word, distributing our news announcements to their local papers and writers’ groups, putting our announcements on their library bulletin boards, and even index cards in the supermarkets, what is the value of being published? Our poets were required to vote for their 10 favorite poems, even if one was their own. That’s how our prizes were/and will be decided!!! Their poems were read!!! Today I took a random book off my shelf and opened to a random poem. I’m not so sure “Short poems preferred (or required)” is a valid red flag anymore. Lots of perfectly legitimate publishers/contests have length restrictions. Epic poems are NOT in fashion these days. I entered one of these scam comps afew years ago but did not fall for the sales pitch. Note to prose writers who stumble upon this post – there are similar scams out there trawling for fiction and non-fiction writers. The staff’s advice on this issue is timely and rookie writers should be warned. Publication credits are fundamental, but entering and winning reputable contests can be a great bio builder. Often, a contest win will be accompanied by (prominent) publication as well as prize money. So it’s a win-win situation. Plus, some contests have cool incentives (“enter the contest, get a year’s subscription free”). And entering contests is a great way to support reputable lit mags and writers’ organizations. That said, some contests are more reputable than others. There are many contests out there that are great for newer writers (they’re often hosted by individual people, not lit mags or organizations), and a writer who has strong publication credits probably wouldn’t stand to gain much by entering little-known contests hosted by unknown writers. But a writer who has little experience might enjoy a “small” contest win as a confidence booster as he/she moves on to bigger and better things. We’re going to write an article in the future to help writers decide which contests are right for them. Thanks for your question! What are your views of contests that are not scams, but do charge entry fees? Is it worth the while to pay $15 or $20 to enter a contest at a reputable literary magazine? Or, is it better to simply build publishing credits by submitting to many different journals, bypassing their contests? I have brother who truly believes these things are real sends his poems in regularly. He has even spent the money on the trip to the conventions a couple of times. I can’t even say for sure how many books, plaques and greeting cards he has paid for from these places. He usually gives them as gifts to family But he had a severe head injury as a child and is not quite right since then & none of has the heart to tell him it’s just a rip off…besides that I don’t think he would believe us. He would say we are just jealous of his accomplishements. On the upside he did really enjoy those trips & he probably never would have gotten to go to DC or Vegas otherwise. I wrote poems several times. My poems were excepted and said to be exceptional. They a were put into anthologys. I thought I really accomplish something. Everyone that I talked to thought it was legitimate. I was disappointed knowing this was just a scam. Once I had a guy telling me all about the poems that he got published in a particular anthology. He was really proud of being a published poet. Even if the anthology wasn’t really known for being high quality or anything in the literary world, he really just felt happy to be published. So I didn’t tell him that the whole thing was pretty much a con. Just about anybody could have been published in the anthology (9 point font, multiple poems per page, you know the drill)–as long as people had money to pay to buy X number of copies for friends and family they could get published there. I just said “good for you” and left it at that. He really did seem happy and I’m glad for him about that. He’s not a serious poet or anything–just a guy who wrote a poem one time. Thanks ever so much for this article and for the good advice I’m ashamed to admit I did get scammed and now I see why and how. Thank God for you for this help and support is what I’ve been looking for. Keep up the good work. I appreciate you more than you know. All I can say is to get this information out to as many people as possible! When I was younger, I entered a poem into a contest and it was just as you explained. Nothing but a scam. Not only is it wasteful to be sucked into buying something to do with the contest it is also heartbreaking to think that you have accomplished something just to find out that it was complete crap that someone made up to make money off of you. Thanks for this useful list of tips on how to vet potential poetry scams.